Though it uses minimal words, this vibrant picture book has a big message. Award-winning illustrator Barroux invites the youngest of readers on a game of hide-and-seek, to find the creatures concealed in the jungle. But as the dense rainforest starts to disappear, making the hunt easier, the animals' homes are threatened. At once a fun, interactive story experience and a gentle reminder about the effects of deforestation, Where's the Elephant will amuse little ones and maybe even inspire the next generation of eco-warriors. After becoming a parents' favourite with the overnight success of picture book The Queen's Hat, writer and illustrator Steve Antony returns with a delightfully dry lesson in good manners. 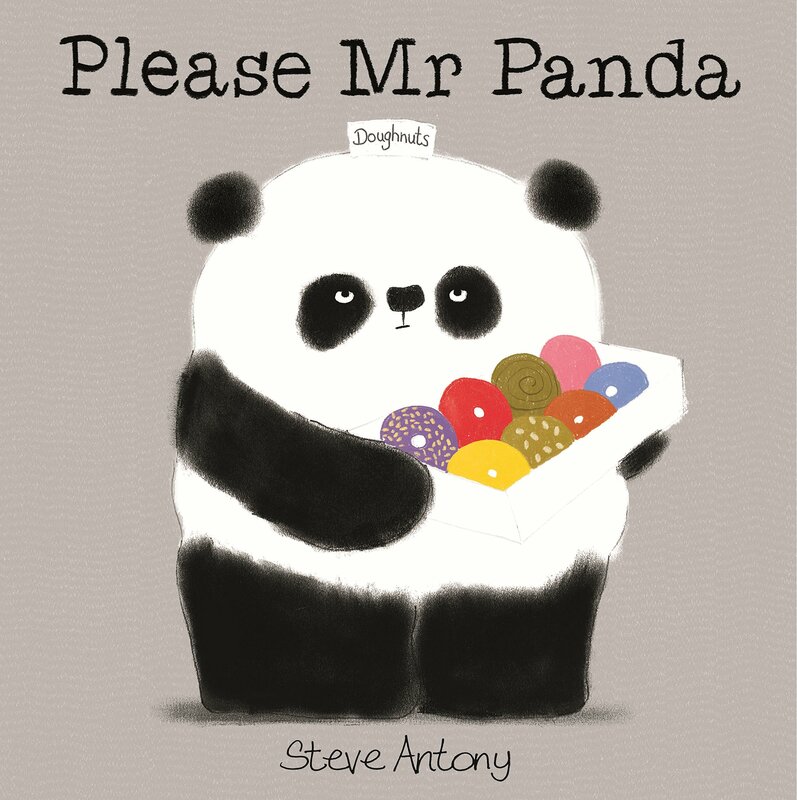 Without the lurid palette and saccharin story of may toddlers' books, Please Mr Panda expounds the value of social niceties as a sullen Mr Panda changes his mind about sharing. Pleasingly muted monochrome tones and a picture-heavy layout will engage toddlers, while the silly humour and repetition will amuse older siblings and early readers. Little ones will love learning how their garden grows with this exquisitely illustrated story. 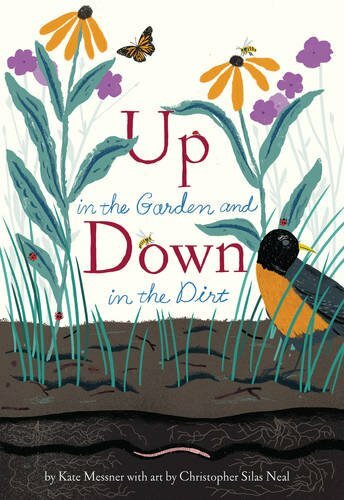 Spanning the seasons in a vibrant portrait of the outdoor ecosystem, Up in the Garden and Down in the Dirt celebrates bright new plants sprouting upwards and bugs burrowing below ground among the seeds and roots. Kate Messner's lively, rhythmic prose and Christopher Silas Neal's charming illustrations bring the sounds and sensations of garden to vivid life, then a glossary helps teach tots about the creatures great and small. This a set to be a new favourite bedtime bed that parents will be happy to read over and over again. The mighty imagination behind the Artemis Fowl books has joined forces with our favourite illustrator Oliver Jeffers in this drolly eccentric celebration of imaginary friends. Sweet, simple line drawings accompany a tale about the elusive Fred and his fleeting friendships as belobed companions outgrow him. And, as his army of fans know to expect from Eoin Colfer, there's a devilish twist to the tale. Wordy enough to challenge burgeoning readers, Imaginary Fred is also a lovely choice for reading aloud to smaller children. As sweet as the Petit Fours referenced in the title, this series of short stories chronicling the eccentric adventures of a cat-loving, cake-baking heroine is a great way to enthuse children who groan at the prospect of ploughing through a whole novel. The fun, fizzy adventures will make independent reading less daunting. Every winter we're bombarded with tales of Father Christmas and his North Pole adventures, but the runaway hit of 2015 gives traditional festive magic a funny, fresh twist. Inspired by his son's curiosity about Santa's childhood, Matt Haig has penned our new favourite festive story. Before the trademark beard and belly like a bowl full of jelly, there was a scrawny little boy called Nikolas. Throw in elves, snow, peril and an unwavering belief in magic and you have a modern classic, that will enchant children and win over Scroogey grown ups too. The champion of fun books for kids returns with another frolicking adventure brimming with lively comedy to make reading a treat not a chore. With hoards of literary awards and an army of impassioned preteen fans (and their parents) David Walliams books never fails to amuse and delight. This latest story, charting an army-pilot-turned-Grandpa's madcap plot to escape the confines of his old people's home, is as warm, witty and genuine as we've come to expect. Culture Whisper's little literary critics, fervent Walliams fans, have already hailed Grandpa's Great Escape his best book yet. There's sacred few Children's writers that can hook even the most reluctant of Middle School readers — Jacqueline Wilson, Michael Morpurgo, R.J Palacio. Now Lara Williamson has joined the ranks. She enraptured kids and impressed the critics with 2014's stunning debut A Boy Called Hope (loved by Culture Whisperers big and small), and now returns with an equally remarkable chapter book about two brothers and a mystery. 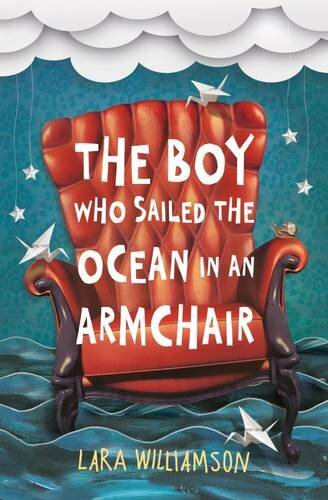 Emotionally-charged (parents reading aloud may shed a tear), but light, funny, lively and with an astonishing twist, The Boy Who Sailed the Ocean in an Armchair is one of those rare books that will win out over an iPad. After years of vampires and romance, multi-award-winning Patrick Ness transformed the Young-Adult market. His bold, gipping stories refuse to patronise and have even the most book-phobic of teens reading long after lights out. We were hooked by the Chaos Walking trilogy and reduced to tears by A Monster Calls (which Ness has adapted into a film starring Liam Neeson and Sigourney Weaver, coming in 2016). 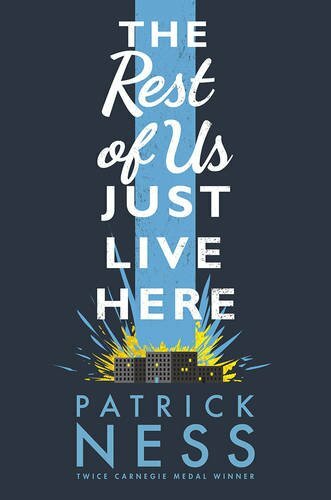 His latest book The Rest of Us Just Live Here did not disappoint. Focussing not on heroes and villains, but on the bog-standard, banal people who surround them, it's honest, funny and full of heart for young adults and fully fledged grownups. Intense, edgy and alight with passion, Fire Colour One is the kind of story that will grip teens and older readers. Guardian Children's Fiction Prize-winning author Jenny Valentine returns with a blazingly fresh and gripping new novel about love, loss and pyromania. Teenage heroine Iris is stuck with a dysfunctional family that includes a fortune-hungry mum and terminally ill, estranged father. As the narrative flits back and forth in time, flickering with themes of fire, modern art and money, dark secrets are illuminated.